Brilliant amber colour with aromas of oatmeal, brown sugar, dried fruits, honeyed nuts and a tinge of peat follow through. A worthy addition to any home bar collection. 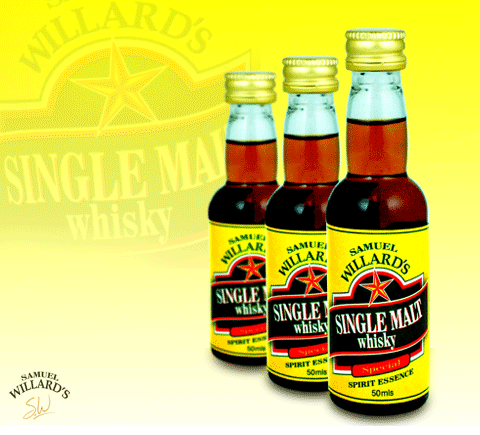 Samuel Willard’s Single Malt Whisky essence produces 2250mL of spirit from each 50mL bottle.